Campground Host at Mt Arapiles for Easter. Be sure to say hi and welcome Nadia when you rock up at Arapiles this Easter. This is her first stint as a volunteer (hopefully one of many) and what a time to do it. Araps at Easter. The pilgrimage. The people. The tents. She is set up lower left end of the Pines Campground. And if you want to read up on any of the issues that we are trying to look after at Araps, ask to read the Visitors info guide. A work in progress. Also, feel free to write any suggestions/feedback down. This way we get to build the program to suit everyone – climbers, campers and the park itself. 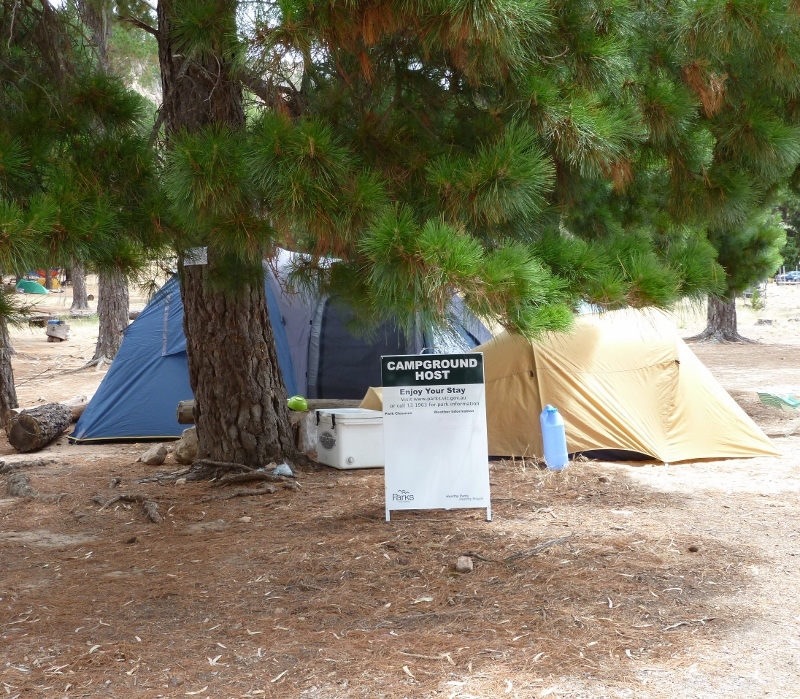 This entry was posted in Arapiles and tagged arapiles, campground host by Tracey. Bookmark the permalink.